Die-cut cover, pencils by John Buscema and Stan Goldberg. 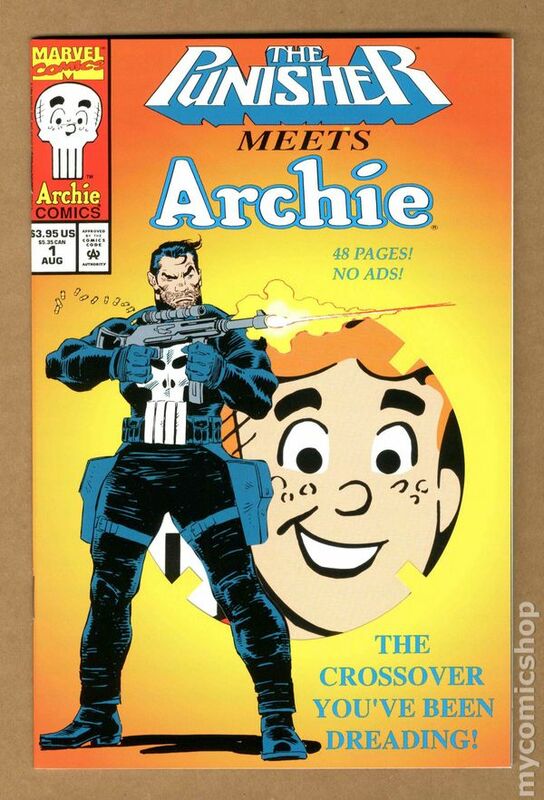 "Introduction: Archie Meets The Punisher" article by Victor Gorelick. "Introduction: The Punisher Meets Archie" article by Tom DeFalco, art by Rick Parker. "When Worlds Collide," script by Batton Lash, pencils by John Buscema (Punisher art) and Stan Goldberg (Archie art), inks by Tom Palmer; The Punisher chases a criminal to Riverdale who bears an uncanny resemblance to Archie. 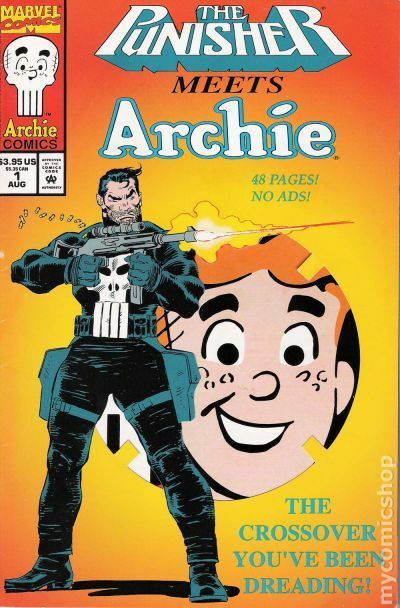 Archie/Punisher illustration by Stan Goldberg. Archie/Punisher illustration, pencils by John Buscema. Same contents as "Archie Meets the Punisher." 56 pgs., full color. Cover price $3.95. 83 mycomicshop users have this issue on their want list.